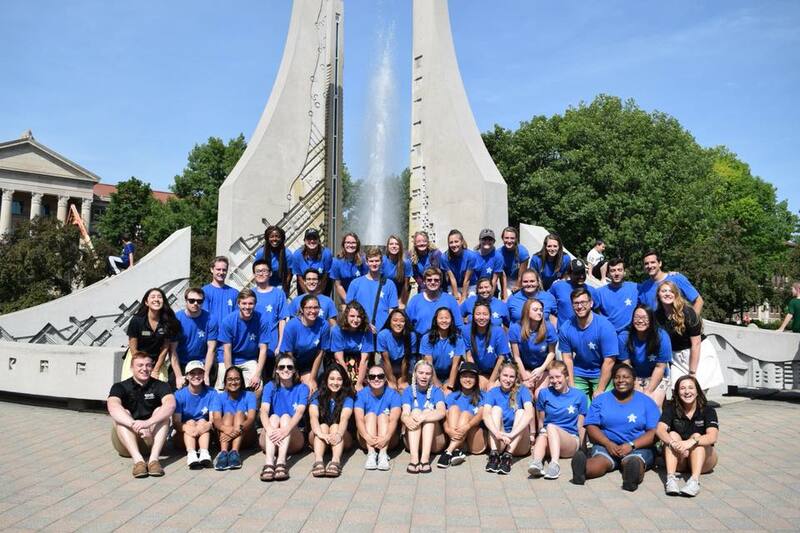 The STAR Ambassador position is a paid leadership role that offers both full- and part-time work experience in support of Orientation Programs, the Student Success Programs department, and Purdue University. STAR Ambassadors welcome new students and their families to campus and connect them with resources that will support their success. All STAR Ambassadors are responsible for actively participating in STAR Ambassador trainings, assigned STAR sessions, and other events as needed. Ambassadors will be compensated $9 per hour. Full-time STAR Ambassadors must work between 30-40 hours per week and may not be enrolled in summer classes. Part-time STAR Ambassadors must work a minimum of 20 hours per week and may take either morning or afternoon summer classes, but not both.